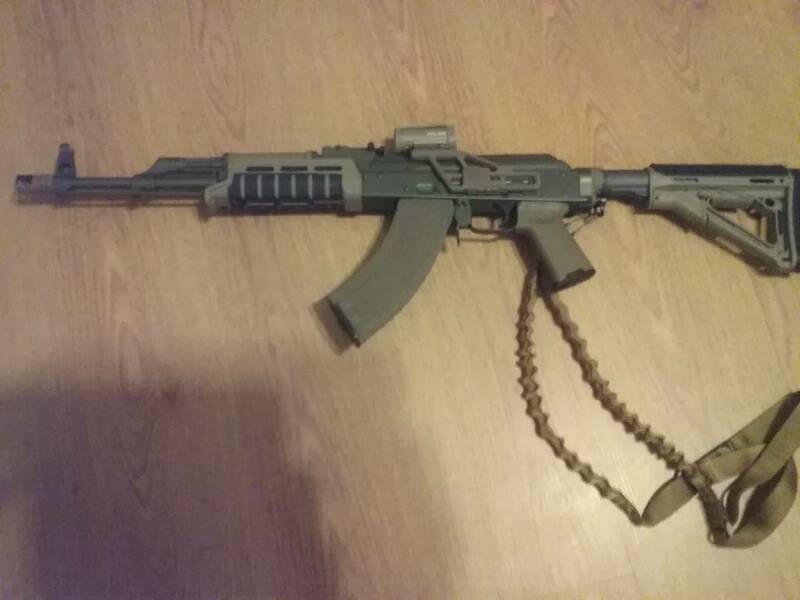 That really looks great, I love practical AK's! I've shot it and it's super accurate. At 25 yards with iron sights I was putting them all in the 9 ring bulls eye. The Krebs rear aperture works really well with the paired fiber optic front. The barrel shoots very accurately. there is a guy here on the site who makes & sells a copy. I tightened up the cam device on the rs regulate 301 lower mount. I then RED loctited the screws connecting the 301 lower to the rs regulate akml upper. 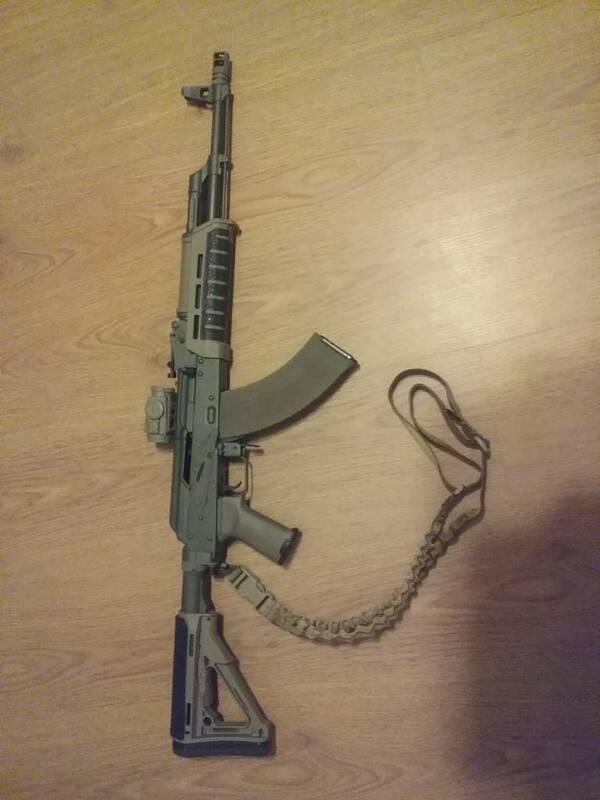 I then BLUE loctited the holosun 503gu-fde to the akml upper. After doing so I started shooting 5 round groups and got the holosun sighted in. Ive sen this rifle on the files.... But nobody flamed you here ...yet. Should link to your thread over there? thats because building is a good thing. not every rifle is a by the book build. doesnt have to be. Post the link if you so choose. I have nothing to hide. It's a free country. There's alot of idiots over there anyhow. 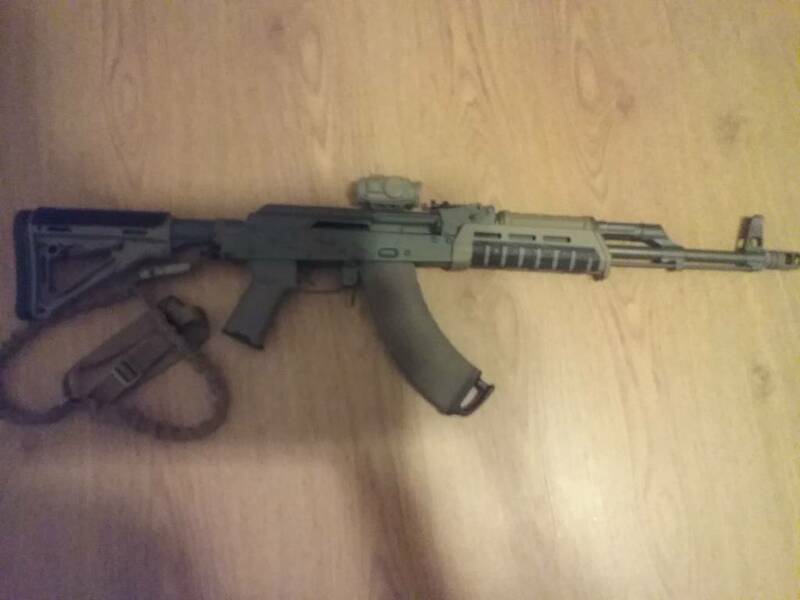 I got more private messages from people saying they liked the rifle than that they didn't. Most said they stood behind my choices and that the idiot's were asses just to be asses. Keyboard commandos basically. I like the Files, but it is the rag capital of the internet. There are some immature buttholes there who just want to bust people's wagons.